Former world record holder for the most Test wickets Lance Gibbs is of the view that rookie West Indian spinner Sulieman Benn has got to add variety to his bowling armoury in order to be successful at the international level. “He has got to bowl six different balls because on that type of track (Providence in Guyana) batsman could get accustomed to you,” Gibbs said while endorsing the inclusion of the 26 year old left arm spinner in the West Indies squad after he made his debut in the First Digicel Test against Sri Lanka in Guyana and was retained in the squad for the Second Digicel Test in Trinidad and Tobago. 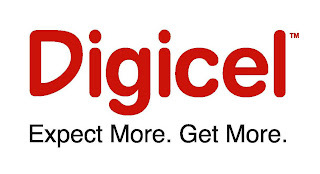 “I would say he has got the ability but he’s got work to do, he could become a success story but it is all in his hands, he’s got to learn the strengths and weaknesses as far as batsmen are concerned and use that effectively,” Gibbs said in an exclusive interview with DigicelCricket.com. “In Guyana (during the First Digicel Test) Benn fought the wicket too much, as a spinner you’ve got to vary your pace, he was particularly flat and this is why he didn’t get any wickets in the first innings,” the former off spinner said on Tuesday afternoon just after a visit to the Digicel Scotiabank Cricket Experience in Port of Spain. The 73 year old Gibbs also feels that the second slow bowler in the West Indies squad, off spinner Amit Jaggernauth, should be in the final eleven for the Second Digicel Test match at the Queen’s Park Oval in front his home crowd. “I told him in Guyana not to be too disappointed, it is best to start your Test career on wickets that you know and I’m sure he will be given a chance here (at the Queen’s Park Oval),” Gibbs asserted. He also said that Benn, who went wicketless in the Sri Lanka first innings but picked up three wickets in the second innings, and Jaggernauth and the other West Indian players should seek the advice and guidance of the former players in order to improve as it is a formula which worked for him during his 18 year international career. “It is critical that the current players seek the advice of the former players, that is how I learned and these players have got to start doing that,” said Gibbs who captured 309 Test wickets in his career from 79 matches. He said that on the field the bowlers must also assess batsmen quickly and be able to work out and exploit their weaknesses. Meanwhile – Sri Lanka captain Mahela Jayawardene said that the pitch at the Queen?s Park Oval for the Second Digicel Test match is very reminiscent of the one in Kandy, Sri Lanka where the West Indies have lost both of the Test matches they played. ?It is definitely Kandy, we always enjoy playing in Kandy because the bowlers have a little bit in it but once the batsman put up the initial hard work it?s going to be a good batting surface,? Jayawardene said. Kandy is the home ground of master off spinner and world record holder for the most Test wicket Muttiah Muralitharan who has taken 116 wickets at the ground including a career best 9 for 51 against Zimbabwe and 8 for 46 against the West Indies. Jayawardene also feels that the pitch at the Queen?s Park Oval has not changed much from what it was in 2007 for Sri Lanka?s group matches. “Chris Gayle never shirks from no one or no responsibility, never, whatever the team requires, I’ll do it.” Those were the confident words of West Indies captain Chris Gayle at the pre-game media conference as a war of words developed between the two captains before the Second Digicel Test at the Queen’s Park Oval. Sri Lanka captain Mahela Jayawardene fired the first shot saying that West Indies captain Chris Gayle’s decision to demote himself from his usual opening position during the First Digicel Test in Guyana, was a negative move which played into the hands of the Sri Lankans. “It shows that they are going on a bit of a negative path, it played into our hands. Once he comes there (at number 6) he is one of their top players and he won’t have the batting depth to bat with towards the latter part of their innings, he’s got to bat with his tailenders and if we keep him quiet we can go with the other guys,” said Jayawardene who led his team to their first Caribbean Test victory in the First Digicel Test at the Guyana National Stadium. But the West Indies captain fired back saying Jayawardene was wrong in his assessment. “I think he is wrong about that because if you check other international teams, (they) have done it before and no one said anything about it. Herschelle Gibbs used to open the batting (for South Africa) and batted in the middle for a year or two, we West Indians always come down hard on ourselves,” said Gayle, who batted at number six and scored his first half century against Sri Lanka after an abysmal time opening the batting. The strapping left hander has made five ducks against the Sri Lankans and has fallen to left arm swing bowler Chaminda Vaas on seven occasions. Gayle argued that rather than hiding from Vaas, it was a team decision for him to bat lower down the order. 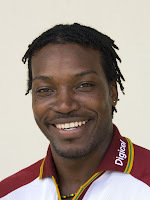 Asked about the pressures of being an international captain Gayle said he has been enjoying his new role even with the additional responsibilities. “I’ve enjoyed it, I get the support of the players and the spectators, it’s a little bit more pressure but it is something I can handle, overall I am enjoying it and hopefully we can turns things around in Trinidad,” Gayle concluded. – Through broadcast sponsorships with the WICB, fans now have more access to TV coverage of international games. Previous: « What’s hot or not in the Afro-American Literary Community – Available on Amazon or MySpace, etc!